Present were Ron Williams, Bob Erickson, Ron Crane, Bill Flora, Frank King, Chuck Kantmann, Robert Garner and Ed Thelen. Robert Garner (center) lurks on e-bay, and snaps up specific items we need. Frank King (left) and Bob Erickson appreciate the 083 sorter brushes that Robert just brought in. 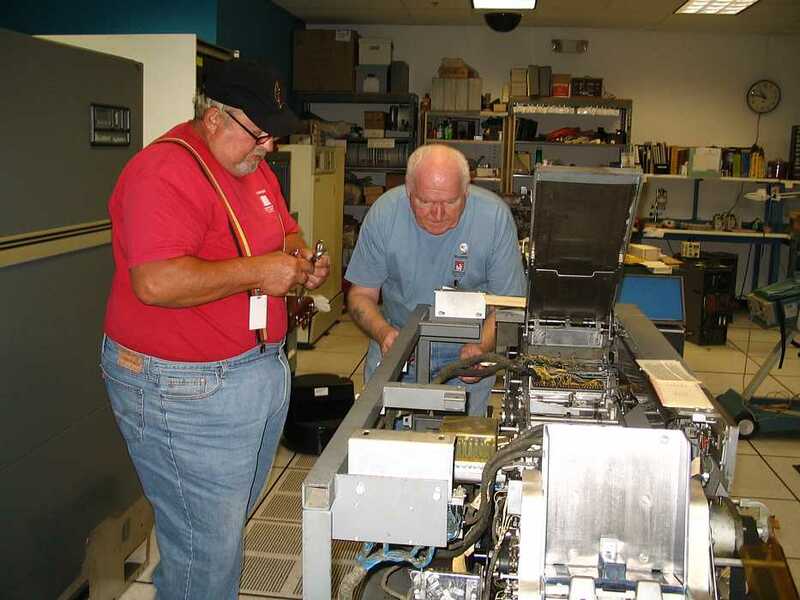 Chuck Kantmann (left) and Bill Flora are re-aligning the timing on the 1402 card reader. It has just successfully read a large test deck with no read checks - but they think they can do a better job in getting the adjustments centered. Practice makes purfeckt. Proceeding clockwise around the table are Frank King, Bill Flora, Chuck Kantmann, Ron Williams, and Bob Erickson with the blue tea shirt. Missing are Robert Garner (getting copies of the 50 Hz converter prints to mark up to Ron Crane's improvements) and Ed Thelen (photographer). The bagels are from Robert Garner (as usual). Ed Thelen continued working on 729 tape power supplies. Exercising the potentiometers for several minutes each seemed to "clean" them sufficiently to be able to adjust the voltages correctly. Started load testing one of the supplies. Ron Williams, my usual informant, didn't say much. The following box was the invitation. Sept. 13th, 10:30am - 1pm in the Noyce Conf room. Jim Somers has indicated that he can provide a sandwich buffet. For order headcount, please RSVP to me if you're planning on attending. Brain storming discussion of possible 1401 demo scenarios for museum visitors (and implementation considerations). Since the 1401 CPU opcodes and most of the peripherals are now working (or nearly working), a new objective is to begin show casing the 1401 to visitors on a regular basis by February(!) --assuming, of course, that the system proves to be sufficiently stable. For the meeting, please think about possible demo scenarios that would be meaningful and interesting for visitors and doable by us and possibly by other volunteers and docents. My thought is that demo scripts could be performed say twice a month for ~90 minutes and feature a running 1401 and some peripherals (026 punch, 1402 card reader, 1403 printer, 729 tape drive). Visitors might punch a card that is incorporated into the script. 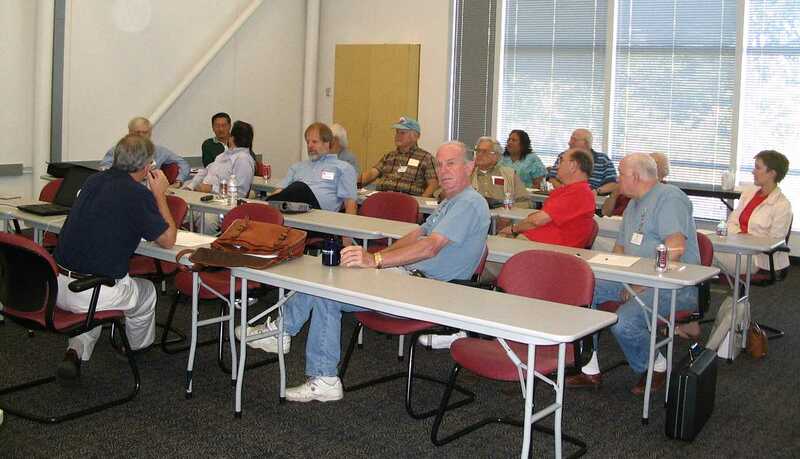 It will be ideal if someone can volunteer to chair a "demo group": work out a script, work with the Museum staff, solicit advice from the PDP-1 demo team, write/debug demo software, etc..
Software folks -- we're gong to need your help! It's been over a year since we've gathered to take stock in our progress and look forward. If you have any suggestions for the agenda, please let me know ahead of time. I look forward to a concise, productive, and interesting meeting. Thanks again for volunteering on our extraordinary restoration project! One of the results of the meeting is that Jeff Stutzman "volunteered" to work on the story board of the demo - what a glutton for punishment !! (caused by a 30-thousand-employee Cisco meeting at Shoreline Amphitheater)! The 1402 card reader is working. * It's card punch is working too. The 1403 continues to infallibly and indubitably hammer and print! The 729 drive can write records (while reading and verifying bits), as controlled from the TAU, for several minutes before an error occurs. The original 026's card printer is nearing operation, otherwise its overall mechanical cleaning/lubrication/overhaul is complete. The second 026 has an open relay coil, targeted for repair. The 083 sorter is about mid way through its restoration. The 077 collator is largely operational. The 50-Hz power converter is correctly wired and operational. an in-depth, hands-on programming class, possibly offered through an area university (Santa Cruz, Santa Clara,...). The purpose was only to discuss visitor demos. We concurred that the criteria for a good demo is one that is interesting/fun, involves the visitors, and typifies how the 1401 was used in its time. For example, we noted that a payroll program itself my not meet these criteria, a game on the panel switches is not prototypical, and almost anything that shows off the peripheral devices will be fun and engaging. We agreed that it would be ideal if the demo visitors (or a subset) could punch say their name + whatever on a punched card. We could then sort the newly-punched cards on say the 083 or 077 collator and then print them in large block font on the 1403 together with some other items. These other items could include an imitation check written out to the person ;-), job accounting charge (in today's dollars), some information about the 1401 (i.e., speed, cost of lease and memory in today's dollars, etc. ), and some vintage printer art. Several folks suggested that each phase of the demo program could be controlled by 1401 sense switches. That way a particular phase could always be skipped (if a peripheral were down) or repeated. 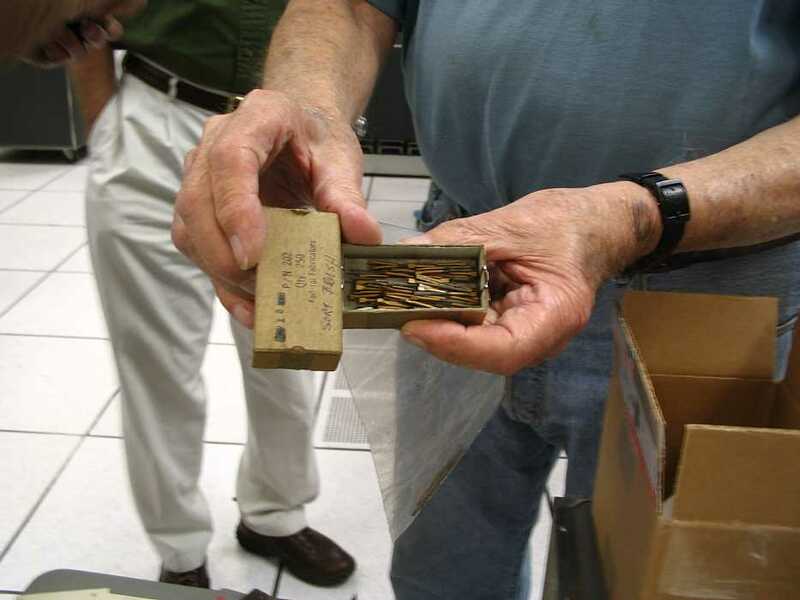 We agreed there should be some artifacts that the demo person shows/passes around to the visitors when describing the 1401: plug board, core memory, SMS card, punch cards, mag tape, etc. We agreed we should make a video of a representative live demo that can be viewed on-line or in lieu of the demo itself. 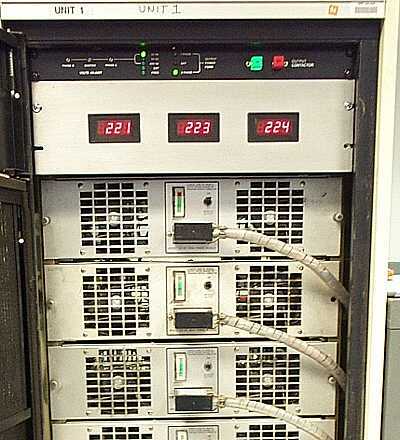 It was suggested that the machines, such as the 1402 card reader and 729 tape drive, would look more impressive if one or more of their steel skins were replaced with plexiglas. We contemplated whether two 026 punch units would be sufficient. We may need a third? On the other hand, some visitors might enjoy watching others (younger kids?) punch a card, passing up themselves. Jeff Stutzman "volunteered" to lead the demo-story-boarding definition effort (THANKS Jeff!). He will collect the various demo ideas and then come up with several candidate possibilities. After agreeing on a scenario, we'll need to write/debug the demo program, practice it, etc. We recollectively watched the DVD sent to me by Karl Bleher at the HzG Museum in Sindelfingen. (HzG = House of the History of IBM Data Processing). It was impressive and inspiring to see their sharp, roomy building and their running machines, including a 1401 system with four 729's, two 1403's, and a 1311 drive, several expansive exhibits of mysterious and rare accounting machines (407 et al), 604, 650, 355 RAMAC seeking, 360/20, 370/125, etc.. I've emailed Karl if the CHM could make copies of their DVD. I'll show it again, perhaps at next all hands. We'll have a follow-up meeting for possibly late October. And, finally, thanks to Jim Somers for the catered lunch! * Except during "ripple" diag test, when there is a read error in 1 in ~200 cards. Will continue to search for that problem, but it should not hinder us from reading cards during demos. ** We have a spare chain, but they're too difficult to repair to justify the 1403 music playing. We decided that if someone can analyze the chain music programs we have, we may get clearance from Frank et al to play them once, for the purposes of a better quality recording. Playing music via am AM radio might alternatively work too (if fluorescent lights are off?). All of the 1401 instructions work (using simple tests). 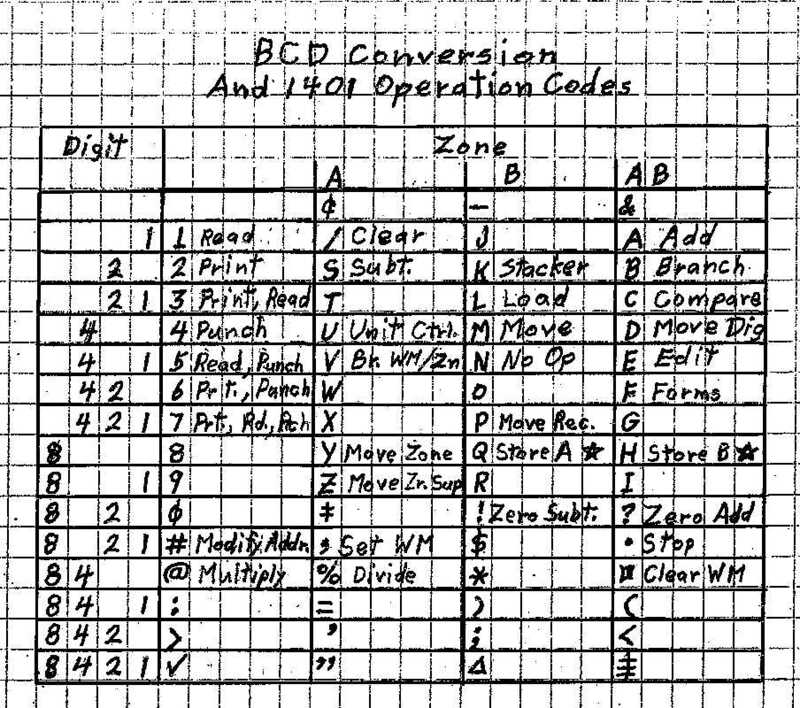 Ron Williams provided this "cheat-sheet" to help coders punch up cards. Ron feels it is time for the programmers to wake up and start using the machine. The programmers wish the key punches were working better, and an assembler working. HOWEVER !! Ron Mak's ROPE programming environment works well on your PC and provides great assembly and program emulation for getting familiar with the 1401 AutoCoder and 1401 instructions. 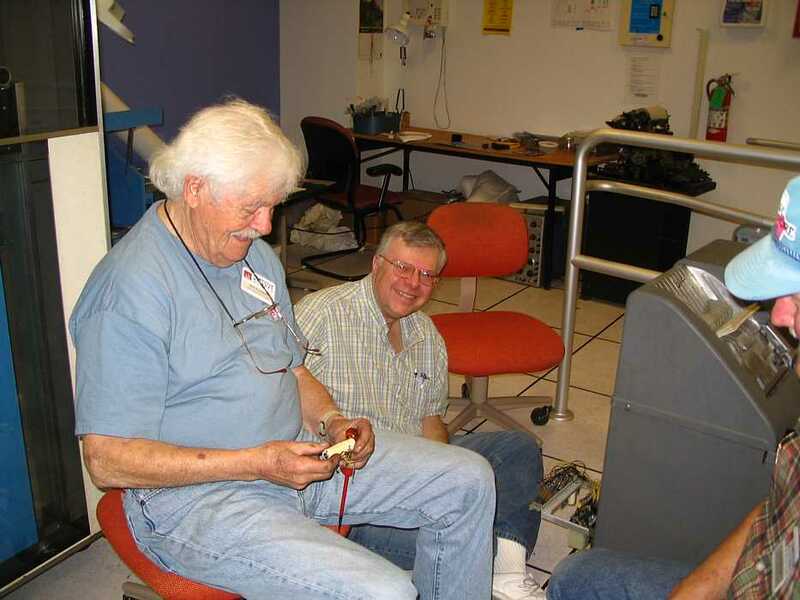 Ron Crane provided the following report of his activities in restoring (and improving) the Pacific Power supply we are using to provide 50 Hz power to "our" 1401 computer system. Jeff [Stutzman] & I completed the basic repair to the unit on Aug. 31, and a few clean up items over the last two weeks. 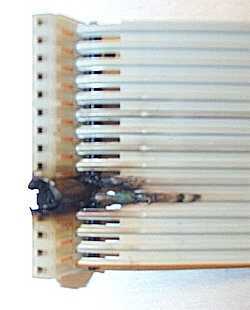 The basic problem was that an IDC connector and pin were burned on the control board producing smoke, smell, and the unit was shut down. The wire burned because of overcurrent. Only the Phase C neutral was connected directly to the load. The neutrals for Phases A and B were not connected directly in the power box and none of the neutrals was connected to chassis/60 Hz building ground. The control board has a signal called "meter return" which bussed all three neutrals together for a meter circuit. It was this connection that carried the neutral currents for phases A and B, about 7-10 amperes. It should be noted that the burned traces in the photographs were already jumpered by 18 AWG rework wires. Maybe the guys at IBM had the same problem at some point. Repair was done by cutting out the burned part of the connector and replacing it with new parts for both the PCB and 18 AWG IDC connector. To avoid this happening again, all 3 neutrals are connected together and to 60 Hz ground. Before and after photos are attached. 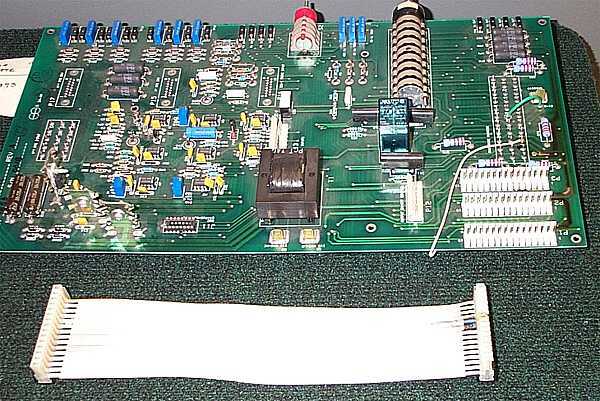 A recommended update for the Pacific Power control board would be to remove pin 6 from the phase B and phase C connectors to the voltage amplifier boards. This would leave the phase A connection to the meter return. If the assumption that all neutrals are connected in the power box were true, metering would work. 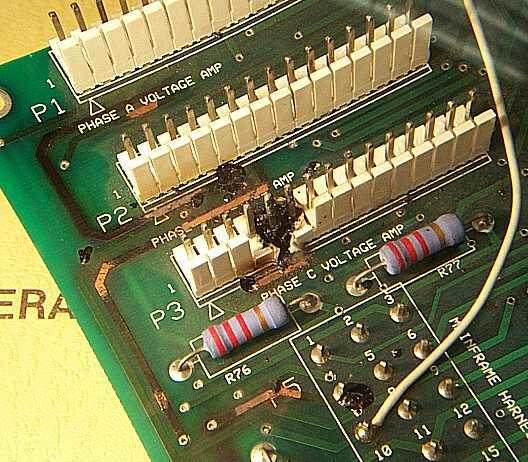 If the neutrals were not connected, the load would get no power and the problem would be corrected with no damage to the control board. 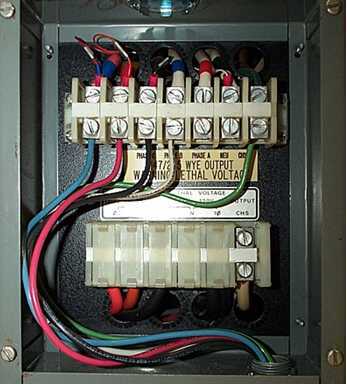 We should verify that there is no need for connection of neutrals at the amplifiers when the output contactor is in the off state. Two of the phase B output amplifiers (modules 1 and 2) produced only half voltage if run individually. Together, they produced a full output. Both were necessary to get at least one good "red" amplifier and one good "black" amplifier for Phase B.
Module B1 had both .5 amp picofuses (F1A, F1B) open in one amplifier (mounted in lid) open and limiting its ability to pull to + 100V. After checking transistors and finding them OK, new fuses were put in and the unit works OK.
Module B2 had one open 2 amp fuse and a shorted transistor (Q19) behind it. While not the source of the problem, they were replaced. The output would only go partially to + 100V and then collapse for the rest of the positive half cycle for that amplifier. The problem was an open 200K 5% pullup resistor R2 (amplifier on bottom of chassis) which was replaced. Module B2 now works OK. It was interesting to note that we never saw a neon bulb glowing despite many blown fuses. We will explore this when going back to look at one of the Phase A amplifiers that was pulled out last month and had a couple of blown fuses in it. It still worked and may have been put back in service. Any survivors may be back next week - weakly. This was one of those days that we should have all stayed in bed. Bill Flora and Don Cull tried to improve/retime the 1402 card reader - the forth cam over from the left - with 6 lobes - slipped rotation and they couldn't get access to the set screws with out major disassembly and re-assembly. One of the above went home with a major headache. There is a problem in the 1401 processor - it seems that it will not branch properly after a load or store memory operation - Ron Williams feels that the Overlap feature is rearing its ugly head again - and went to help Bob Erickson. - an adjustment screw deep in the bowels of the #1 026 key punch broke, and he needed to get a replacement. - the "hold" coil in a relay in the loaner (#2) key punch (see August 9) had been found to be open. Mike Cheponis (late of the 1620 and PDP-1 restoration projects) showed up and expressed interest in helping restore the 1401 system. Mike said that his father had rewound coils and medium sized motors in a steel mill in Pennsylvania many years ago - but Mike was not eager to rewind this coil. 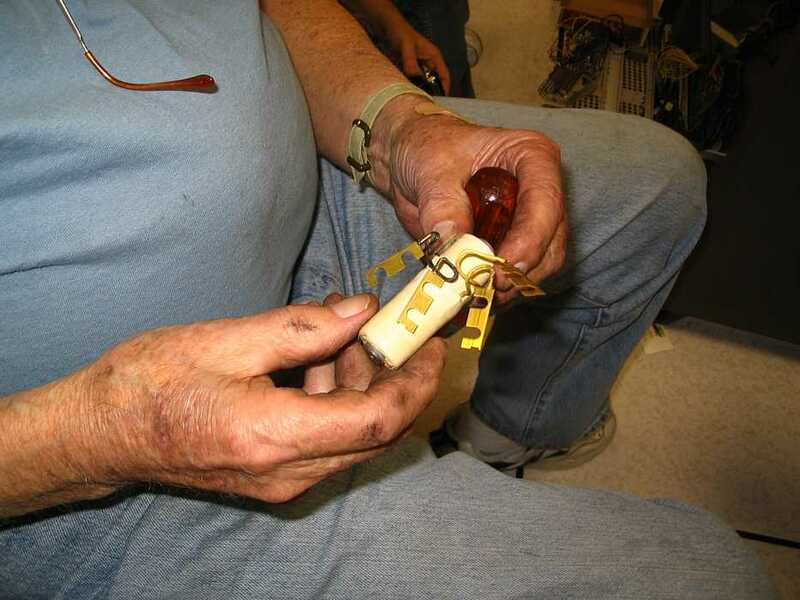 Bob Erickson holding the defective coil, the "hold" winding is open, the "pick" winding measures about 1,200 ohms. I thought that maybe I could rewind the sick relay coil as I had wound coils for amateur seismometers and started carefully picking off the nylon protective winding covering the copper wires. Soon the end of a very thin wire was visible - I had likely broken it in trying to remove the nylon protection. Others pulled off more wire, and measured it as 0.0031 inches in diameter. Bob Erickson observed that the average human hair is 0.0025 inch diameter. 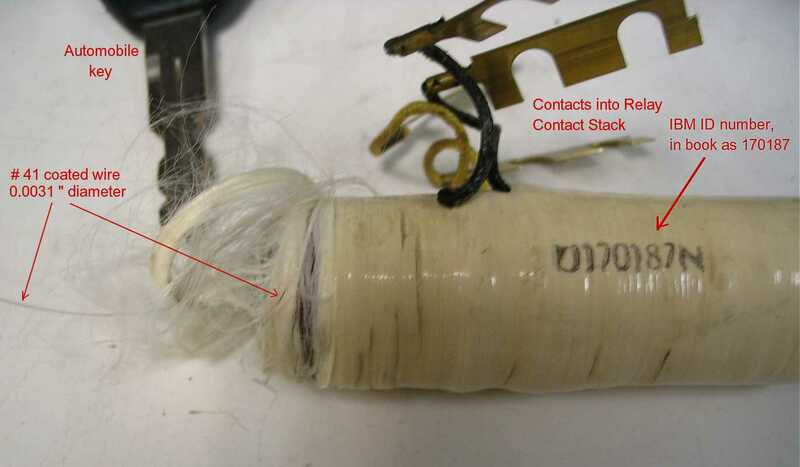 Mike Cheponis found that the wire was likely #41 coated wire (see below). Winding #36 wire is interesting enough to hand rewind - is anyone interesting in trying to rewind a dual wire coil (pick and hold coils) using #41 wire? There is the increasing worry that we will not have a working key punch for the proposed February 2007 presentation of the 1401 system - nothing which programmers can use to prepare decks - Ron Williams reads what he key punches by examining the holes - really -. We sadly went home into the height of the commute traffic. Not every day is a great day !! FWIW, I measured the OD of that magnet wire at 3.15 mils. - so I claim that this wire on the solenoid is #41. Now, back to #41: bare wire is 2.8 mils, so the coating takes (3.1 - 2.8) = .3 mils. It has 1320 ohms per 1000 feet, and the circular area is 7.84 square mils. that would be 1000 ft / 1320 ohms * 1204 ohms = 775.75757575 feet. that would be 4545 feet - which seems -way- too long. I just read Wednesday Sept. 20th activity report and remembered that I have an old 1952 IBM publication Form 22-8788-1. It has a chart showing the the correct resistance of all the coils used by IBM at that time. It says that coil 170187 has a resistance of 1145.00 ohms in the pick coil. The hold coil has a resistance of 3200.00 ohms. It says these coils are manufactured to a tolerance of 10%. Present were Ron Williams, Bob Erickson, Tim Coslet & Ed Thelen. Mike Cheponis arrived about 2:00. Bob Erickson said that he needed a 0.095 inch diameter rod to help with the alignment of the 026 print plate. He had one, and needed another to provide a 90 degree push. Tim Coslet and I went to a hardware store to get some electrical things and try to get that rod. We came back with a 0.125 " rod - but apparently that was good enough. Suddenly Bob Erickson burst out with "I got it"
- or was it "Eureka!!"? and presented us with these cards. Some spoil sport later noted that there was sometimes when an "I" should be printed, and "R" was actually printed - see the above sequences. The three complicated boxes on the floor are power supplies for the 3 729 tape drives Mod II and Mod IV. Ed Thelen connected up a series of resistive loads to the unregulated (actually regulated quite well by the ferroresonant transformer/regulator) DC voltages. 140 volts, 48 volts and 7.5 volts. This power supply also has +-12 and +-6 volt further regulated power supplies. The adjustment pots had been very dirty but many cycles of twisting them helped a lot. The +12 volt power supply did not regulate over the intended range. (The actual range was 13.9 to 13.7 volts.) Bob Erickson suggested that under no load conditions linear regulators often don't work well. Tim Coslet were unable to reach the bleeder resistor (across the output capacitor) to see if it was open - but placing a 21 ohm resistor across the output terminals caused good range of adjustment :-)) We will try to get at that bleeder resistor yet. As I was leaving, about 5:30, Mike Cheponis and Tim Coslet were hand encoding a test program on the newly printing 026 key punch - using an instruction cheat sheet from Ron Williams. For the previous 28 months the only people who could usefully keypunch were the exIBM FEs - who would then hold the card up to the light, squint and peer at the holes to verify what they had key punched. We had forgotten to toast/roast Bob Erickson with champagne :-(( Bumber!! Present were Ron Williams, Bob Erickson, Robert Garner, Bill Flora, Frank King, Ed Thelen. Ya know, a key punch is horribly complicated, and packs a lot of mechanical function into a small volume. That little horizontal printer plate adjustment screw is visible and turnable through a special 3/8" hole in the main casting, but to replace it is a massive dis-assembly job of the heart of a very complex machine. I am here to tell you that an alarm clock, or watch, is boringly simple compared to the internals of a key punch. When you take off the covers, you see lots of mechanical assemblies bolted onto the main casting. 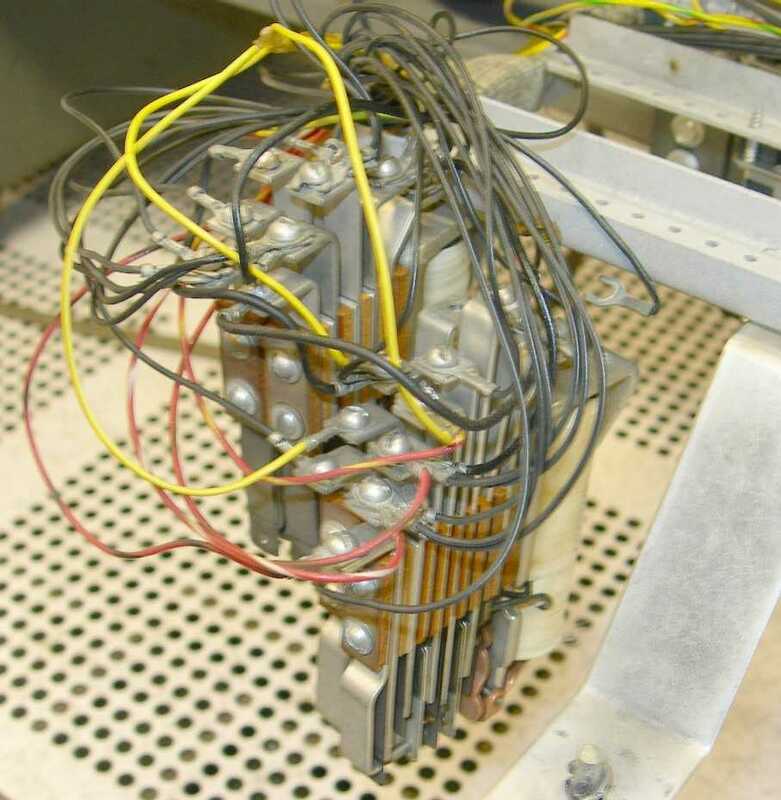 The read assembly, the punch assembly, the print assembly, the ribbon assembly, the card movement controls, and on and on. Each of those sub assemblies ... and on and on. Like the story of the parasites, the rats have fleas, the fleas have worms, and those parasites have parasites ... down to protozoa - which may get viri?? What really nailed me was the merging of the interposer sub assembly with some other assembly, and 12 little levers had to insert into the 12 little interposer slots - all the while trying to work through a 4 inch by 3 inch hole in the front of the main casting. And I had forgotten my camera - but it would have taken a third person to operate the camera any way. The whole experience was like a frustration nightmare. While working with the mechanicals, Bob and I discussed lubrication - most of the parts were covered with what must have been #6 IBM oil, now becoming sticky and resembling partly dried varnish. I had posted the characteristics of many IBM oils. Bob was of the opinion that if this 526 was ever to be made operational, it would have to be completely disassembled, cleaned, and re-lubricated as the current oil was far gone into varnish. During the noon time break - "brown bag lunch" - John Toole (CEO of the museum) gave a history of his being hired, history of the new building acquisition, future plans, ... to about 40 eager questioning volunteers. Actually I have little clue what the other 1401 volunteers did while Bob and I reconstructed the 526 all day. Later, Ron Crane and Mike Cheponis arrived, discussed power, and trying to get the 1401 computer to be a stable unit. There has been considerable discussion as to whether we should have had Grant make an 026 replacement adjustment screw - which seemed to be a "standard" screw with some special groves and things cut into the head - instead of requesting to get into another keypunch for a replacement. Maybe we should take a breather and refresh our brains? Take a class in group dynamics - ala Dilbert? Suggestions? Yeah - a party break! !